A clay pot waterproof eyeliner with 12-hour wear. 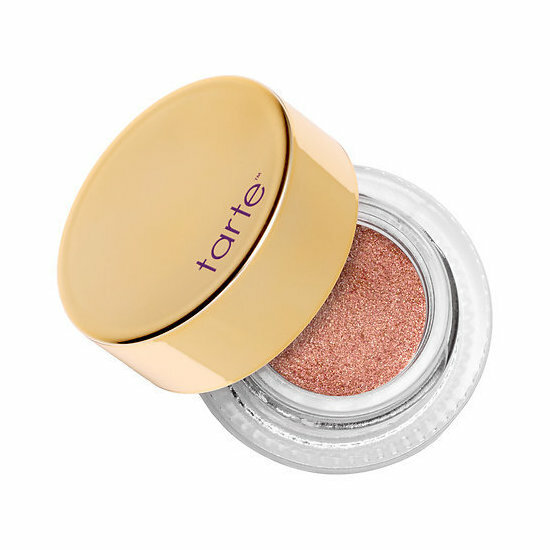 I'm in love with rose gold anything, and as for this tarte liner I can honestly say it is a true rose gold in color!! Some brands claim a color to be rose gold but I find when I get the product it's more gold then anything. Being that this does not have a matte finish but more of a metallic glitter finish I have a hard time using this as an eyeliner. It's quite chunky so it's makes lining very hard. However if I use it as more of a cream shadow just on the lid it's quite beautiful, and eventually dries down to a nice pop of metallic on the lid. If using it this way I suggest doing your lid 1st because it takes a while to dry then doing your crease after. I feel this would of been marketed better as a cream shadow / liner for this texture. Tarte did however hit it on the brush with the rose gold shade super impressed with the over all COLOR here!! !